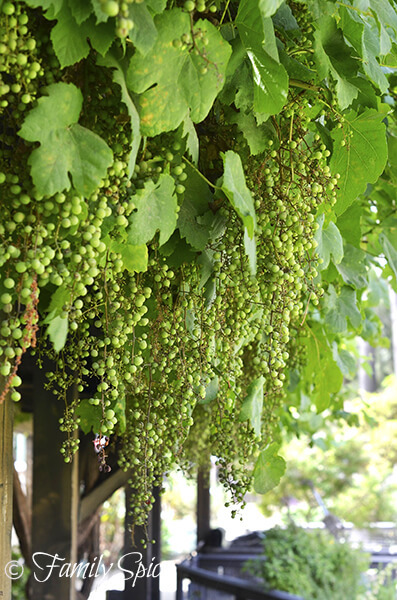 Everywhere you turn, there is something new to see. After splurging on a big vacation earlier this year to Hawaii, this summer has been rather ho-hum for the family. And I’m not complaining. I am super appreciative of my hard-working hubby and the privilege and sacrifice we make so I can stay home with my babies. And that means making the most of our stay-cation summer. And if I have to be “stuck” in a city, I’m thankful it’s San Diego! I told my husband I want our walls to look rustic like this! One weekend we reserved a Sunday to not do chores, but to do something fun. I rattled off several ideas, but the gray day did not allow for a fun day at the beach. Middle Child just finished 4th grade, where he learned all about California history and the Spanish missions that line our state. I suggested visiting one of three missions near us. The hubby chose to drive an hour north and visit Mission San Juan Capistrano. I loved strolling through the walkways and gardens. If you find yourself in LA, Orange County or San Diego, this is a great adventure for the family. The train station is right in the heart of the quaint downtown. 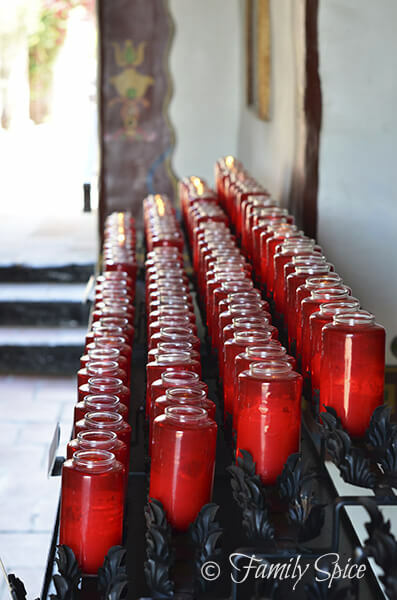 All are walking distance to Mission San Juan Capistrano. We promised the kids the next time we came here, we would take the train. And there will definitely be a next time. 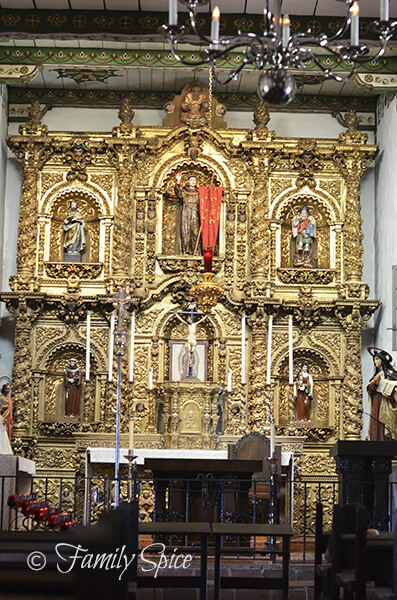 The mission is quite large, being the 7th built out of the 21 missions in the California Mission System. I will not go in depth on the history, but the Spanish Mission System of building a chain of missions approximately a days ride apart by horse shaped California. I signed up here for a quick coupon that gave my family and I a 1-hour guided tour. Our guide was remarkably insightful and knowledgeable about the history of not only this mission, but of California, too. This facade came in 400 pieces without instructions – the ultimate puzzle! I am not a Catholic, but I found the entire area to be rich with beauty and traditions that I respected and admired. 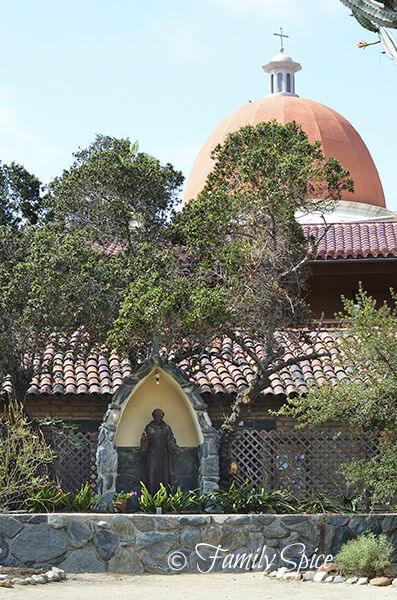 Although the Catholic Church owns the mission, the funding of the mission and its restoration is from ticket sales and donations. 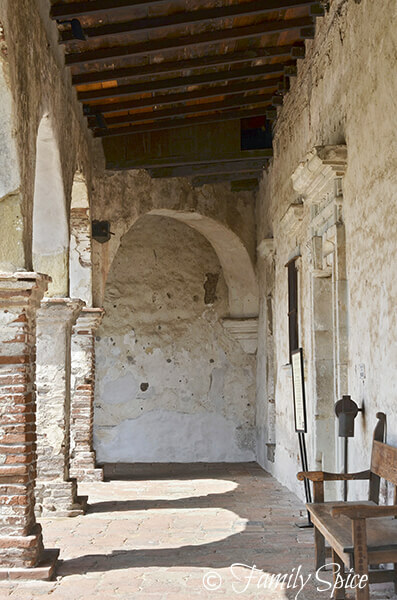 About 100 years ago the restoration process began to keep Mission San Juan Capistrano intact, and it is remarkable how much of it is in great condition. The chapel was gorgeous and ornate. 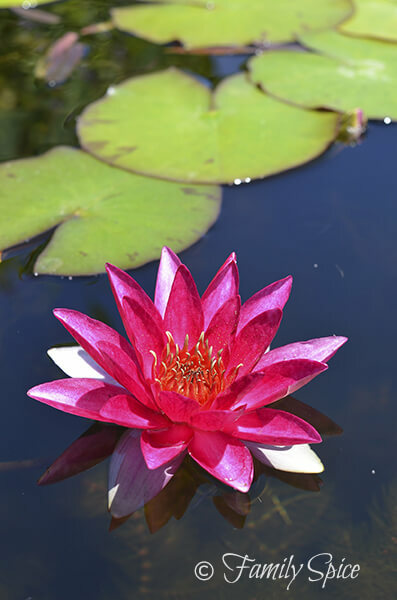 My kids were fascinated with the lily pads, flowers and koi fish. The indoor kitchen was more like a massive smoke room that made me appreciate my own kitchen even more! 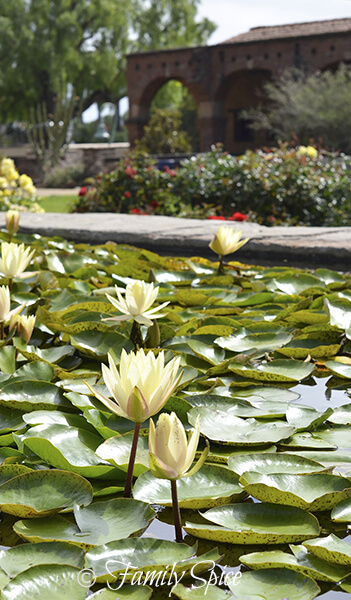 The gardens were in full bloom with lily ponds and monarch butterflies flying everywhere. 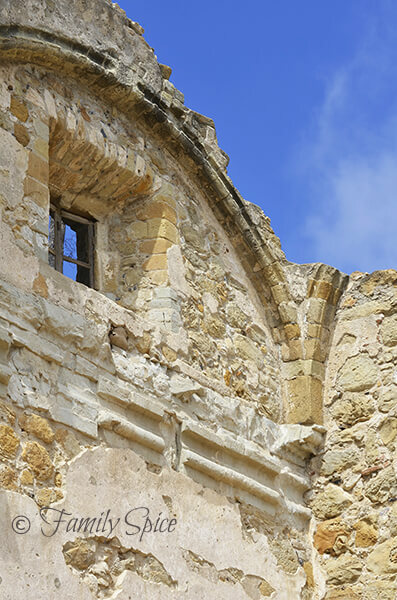 If you find yourself in Southern California, take in a bit of history and enjoy the charming restaurants, shops and mission that you find in San Juan Capistrano. Read more about the history of this mission here. 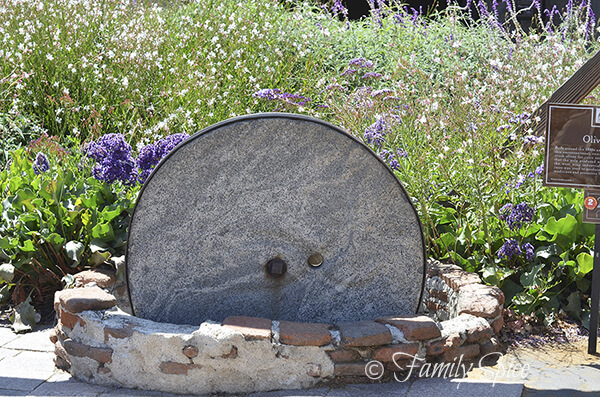 Imagine this, an olive mill used to crush and extract olive oil! 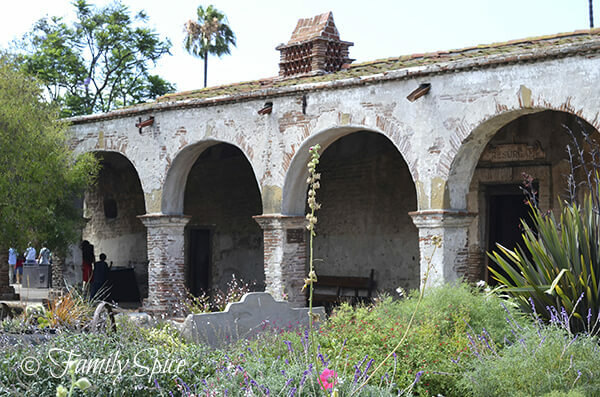 Mission San Juan Capistrano claims to be the first mission to make California wine. 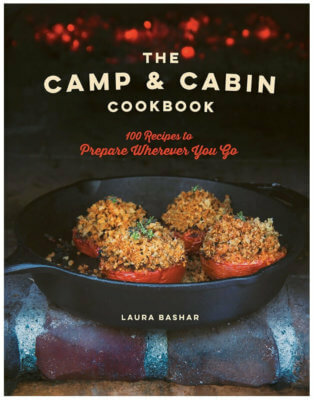 Go hug your fridge and stove! I think I took over 100 pictures of just flowers. And another 100+ pics were of the rustic mission. 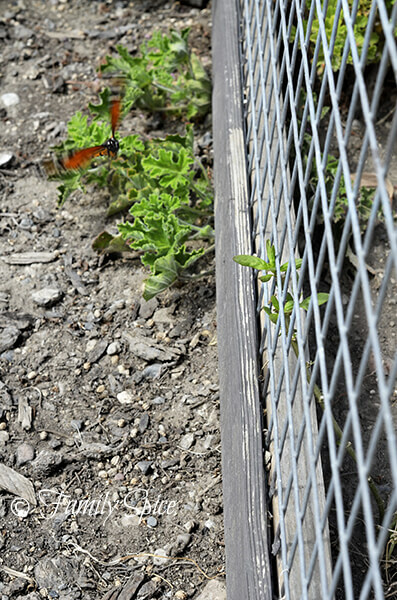 I tried so hard to photograph one of the many, many monarch butterflies flying about but they wouldn’t sit still long enough. This one is flying right at me! Fun pictures! It’d be fun to return to the mission in March to see the swallows return. Sounds like you had a great day. Isn’t it just THE most picturesque place you’ve ever seen? Love this little town and while you’re out and about , visit my favorite place to eat ~ The Ramos House for breakfast or lunch. Laura, this was probably one of the very first places I visited so long ago in the US. Loved it: still have lots of photos Lord knows where 🙂 ! Thank you for both taking me back and bringing me up to date: once a have a moment, would probably like to share with friends! your photos are lovely . . . thank you 🙂 ! 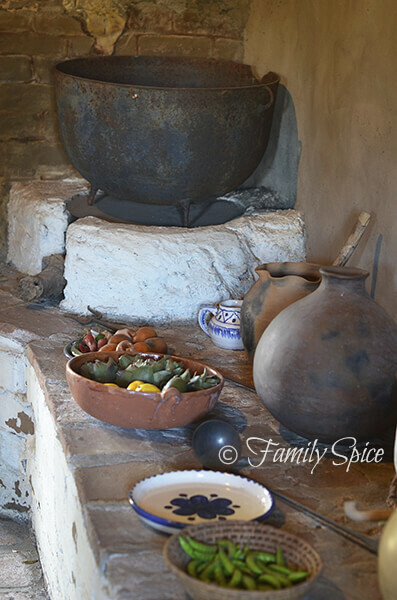 Beautiful photos, I’ve visited the mission before but long ago. Such a picturesque spot! I always thought it would be wonderful to see the swallows until I lived where swallows wanted to live. Now I want to visit when they aren’t there. 🙂 Gorgeous photos!